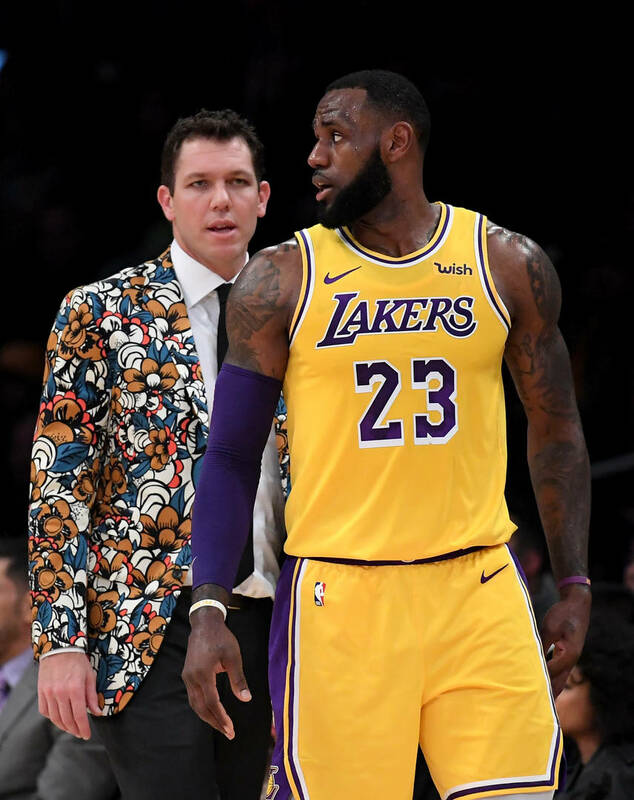 There has been a lot of rumors surrounding Los Angeles Lakers head coach Luke Walton and whether or not he'll still be with the team next season. Many believe he'll be fired although Walton firmly believes he will still be with the team next season. As for co-owner Jeanie Buss, well she admits that she likes Walton but won't exactly commit to keeping him. Perhaps Walton's fate rests in the hands of LeBron James, who spoke about Walton during an interview with Spectrum Sportsnet. When asked about Walton's performance as head coach, James made sure to compliment him, saying he ultimately did the best he could given the circumstances. "(You have to) control what you can control, and you've got to play the hand you're dealt," James said. "I think (Walton) played the hand as well as he could." Some of these circumstances include a plethora of injuries that plagued the Lakers all season long. As James noted, these injuries are what led to the Lakers demise in the second half of the year. "Nobody expects for injuries to happen the way they did with our franchise this year. ... I'm not talking two or three games here, everyone's back in the lineup. We're talking 15, 20, 25 games. I saw something the other day where myself, B.I. (Ingram), Zo (Ball) and Kuz (Kyle Kuzma) only played 23 games together this year. 15-8. We had a defensive rating of fourth in the NBA, and we were like seventh in offense when we played together in 23 games. As good as that is, it's not enough for Luke to even be able to know what he has on a consistent basis, when you don't have a consistent roster every single night throughout a full season." With just one game left this season, the Lakers have a record of 37-44 and are sitting in 10th place in the Western Conference.